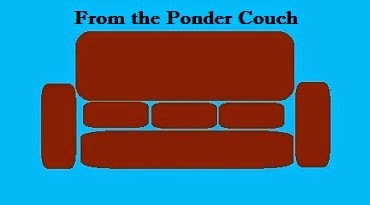 From the Ponder Couch: Two sethifus digital 7"s and a song about guitars! Two sethifus digital 7"s and a song about guitars! I wrote a song about guitars used as decorations and how I'd like to take them all home to play. I also made 2 digital 7" records! They would be records if I had a bigger following, money, and a label who was interested. 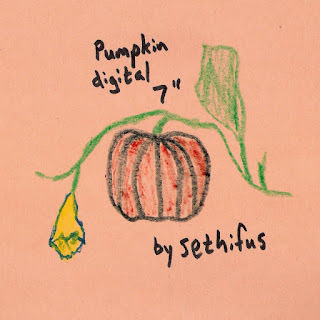 The first is the Pumpkin digital 7"! You Can Download it Here!!!! If a record label decided to start making physical records of this 7" (say Paper + Plastick or Third Man Records, maybe), and I got to do them exactly like I'd want to, I'd put a few real pumpkin seeds from pumpkins I grew inside each record. I think if they were thoroughly dried out first they would be okay in the middle of vinyl or plastic. For a long while anyway. And if people bought the records soon enough, they might be able to slit the record open (like the Dead Weather's Triple Decker Record), get the seeds out, and plant them to grow their own sethifus-strain pumpkins! 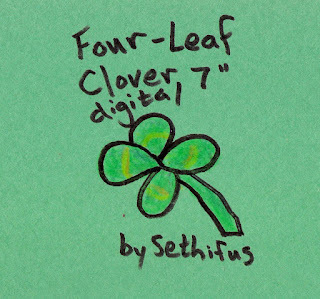 The second digital 7" is the Four-Leaf Clover digital 7"! 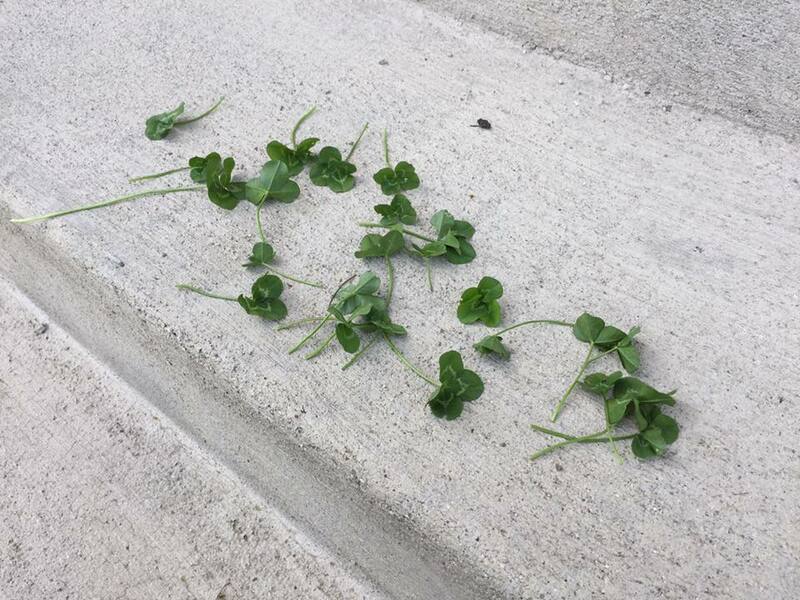 This record would have Four-Leaf Clovers inside of it! As I've said before I'm very good at finding Four-Leaf Clovers! I don't know if the records would bring people luck, but it couldn't hurt! You can find both digital 7"s on my bandcamp page! They are only $1 each! Third Man Records, any interest?